Are you worried about how to talk to your future partner about your debt, from student loans to credit cards? While the conversation may be difficult, it is important that couples have honest conversations about where you both stand financially. I was recently featured in an article on NerdWallet asking how couples can work to “lay it all out on the table” and provide a strong financial foundation for marriage. Very few of us enjoy talking about money with our spouses, but it’s necessary for any successful marriage. Reader’s Digest asked me to give my input on their article discussing how to avoid fighting with your spouse when talking about finances. NerdWallet’s Ask Brianna: Should My Partner’s Debt Keep Us From Marrying? Financial debt shouldn’t keep you from getting married to your soulmate, but before you make your vows there are certain precautions you should take to ensure debt doesn’t hurt your marriage in the long run. I recently had the pleasure of contributing to an article on NerdWallet.com that discusses the steps you and your partner can take to manage your debt, including a few realistic life adjustments that can get you started. When it comes to money, discussions with your partner can be downright uncomfortable. Still, when it comes to your spouse, it is imperative to be able to have open dialog and communication. NPR asked for my input in their article discussing navigating the financial landscape of marriage, including a few tips from me on how to set some basic ground rules for you and your spouse to follow. The first step in making smart financial decisions is understanding your financial situation. KentOnMoney.com invited me on their radio program for my take on the importance of understanding the ramifications of the financial decisions made during a divorce, and how I help clients to take control of their financial well-being. 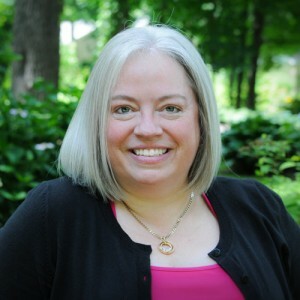 As a CERTIFIED FINANCIAL PLANNER™ professional, Kitty Bressington is the founding principal of Linden Financial Consultants, LLC, which is an independent, fee-only financial planning and investment consulting firm in Pittsford, NY. All written content on this site is for information purposes only. Opinions expressed herein are solely those of Kitty Bressington, President, Linden Financial Consultants, LLC, or her editorial staff. Material presented is believed to be from reliable sources and we make no representations as to its accuracy or completeness. All information and ideas should be discussed in detail with your individual advisor prior to implementation. Fee-only financial planning and investment advisory services are offered through Linden Financial Consultants, LLC. The presence of this website on the Internet shall in no direct or indirect way be construed or interpreted as a solicitation to sell or offer to sell investment advisory services to any residents of any state other than the state of New York or where otherwise legally permitted.